Welcome to the Freshwater Lagoon Nature Retreat. What a perfect way to truly experience what Coastal Northern California & Redwoods offers. View out the kitchen window. Not too shabby...We are not suggesting you spend a lot of time cooking though - get out there and enjoy! Freshwater Lagoon Nature Retreat boasts sixteen private waterfront acres which sit at the entrée way to Redwood National and State Park just minutes from the tallest trees in the world. The giant floor to ceiling windows throughout the house allow you to gaze out at the beautiful natural setting of scenic 200 acre Freshwater Lagoon bordered by hills of evergreen trees, across which lies the beach and Pacific Ocean over which you will view beautiful sunsets. The single story home has 3 bedrooms and a bonus room with TV and two twin beds. 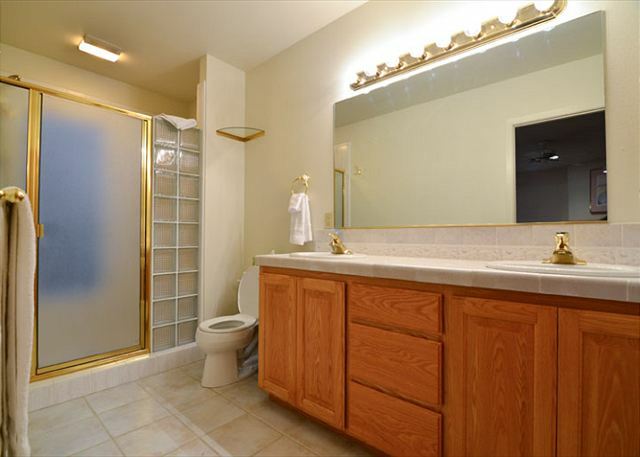 The two bedrooms share a hallway to a full bathroom with classic pink tile. The master bedroom is set apart from the rest of the house with a king sized bed, full bath, romantic fireplace and its own large deck. Owners dogs and cats ocassionally visit property. We do have wifi, but it is not great because it is satellite. Very family friendly home, and crib available on request. Enjoy quiet solitude in the large living room and dining room area with unparalleled views while warming by the huge rock fireplace with wood stove insert using the wood provided. The dining table seats eight comfortably with room for more to squeeze in. 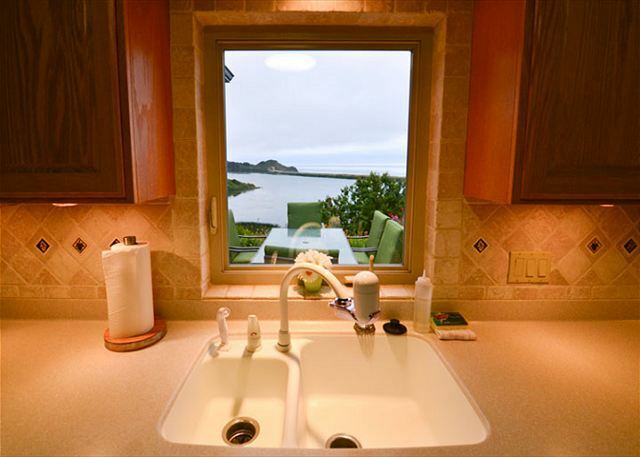 Cook in the fully equipped kitchen while enjoying the same spectacular view. Enjoy morning coffee or serve the kids at the kitchen breakfast nook with seating for four. There is a ping pong table, fuse ball table and air hockey table in the game room in the garage as well as a tetherball pole and basketball hoop on the driveway. Board Games, cards and other fun indoor activities will bring the family together at night. Please respect no outside visitors permitted without pre-approval and subject to time of year and review. Along the front of the house is a big deck overlooking Freshwater Lagoon and the beaches with such revitalizing views! Watch Osprey and eagles soar overhead and fish in the lagoon. Ducks and geese use the lagoon to rest during migration. Bring your binoculars to scan for whales and boats or spy on wild life. Bears and deer frequent the property. Dine at two outdoor patio tables with combine seating for twelve. BBQ on the large outdoor grill. The hiking all around you is truly world class - whether through the Redwoods National and State Park or along the beaches of the lagoons. Walk the five mile trail from Dry Lagoon to Stone Lagoon searching for agates along the beach then back through the woods picking berries as you go. Wander through the giant redwoods of Lady Bird Johnson Grove or hike to Tall Trees where the tallest tree in the world lives. Walk famous Fern Canyon, wander around Patrick’s Point, horseback ride or bike into the park or drive the scenic route through the towering redwoods of Prairie Creek National Park on the way to the mighty Klamath River. For the water lovers, what a paradise! The lagoons offer great trout and bass fishing and small boating. You can rent kayaks and stand up paddle boards just around the corner at Stone Lagoon. Paddle across to the campsite, then hike to the beach. The beaches offer surf fishing, rock and beach treasure collecting, and surfing. You can charter boats from Trinidad and Eureka for pleasure cruising and fishing trips for Halibut, Salmon, and Rock Fish. The adventures are endless from this wonderful family house. There are so many things to do and places to visit within a half hour drive you will have to return again and again to fit them all in. Please note, Duck Hunting does occur on the lagoon from mid-October through January. No direct access to lagoon from property. Boat/kayak launch site just a short drive around the corner. Caretaker lives on the premises. This house was the perfect setting for our small family reunion. The owners were very hospitable. The view was incredible and exactly as pictured. The house was comfortable and clean and the kitchen had everything that we needed to make our meals. The house was so close to the Redwood state parks, we only had to drive a few minutes to absolutely incredible hiking. We would stay here again and definitely recommend this place to friends who want to visit the Redwood Coast. 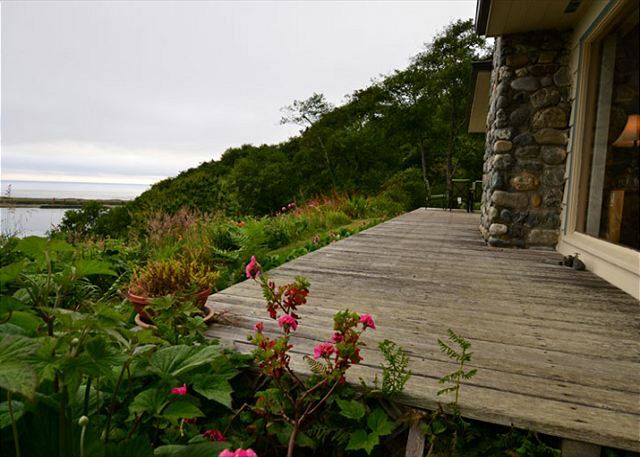 The views from this rental property are amazing- seeing the Freshwater Lagoon, the ocean, trees and flowers. You could spend quiet days resting and relaxing and not even leave the property. And, to adventure out to see the many nearby national and state parks, the location is ideal. You do not access to the ocean from the property itself, however, it is a very short ride away. The house is spacious and the furnishings have been thoughtfully planned out to accommodate large family gatherings or even just a small group of friends. Lori and Tim, the owners, helped us a couple of times and were so gracious and accommodating. Thank you for reviewing the Freshwater Lagoon Nature Retreat! This is one of our unique homes due to the location overlooking the lagoon and the ocean. The homeowners are hosts to this property and make themselves readily available for their guests. 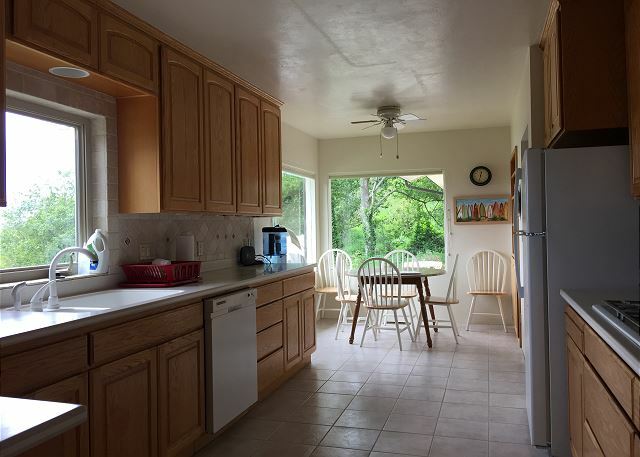 The home is a short drive off the highway and is but a short drive to National and State Parks, making it a great home base for those seeking adventure in our area. Thank you for choosing this home and for booking with Redwood Coast Vacation Rentals. We really enjoyed ourselves. The house has an interesting layout, the large windows that face the ocean are truly amazing. Unfortunately single pane so condensation does build up from time to time. Really nothing around in the way of businesses so hit the grocery store in Trinidad or Crescent City first! We were disappointed with the living room floor as it is painted plywood and quite dirty under furniture. But the rest of the home was kept very very clean. Thank you for your review of the Freshwater Home. This is a unique home due to location. The home does have an interesting layout, and the views are amazing. Sorry to hear about the oversite of the cleaners; thank you for letting us know. We do hope you otherwise had an amazing stay, and hope you will consider us again for future stays. We had a wonderful family vacation here. The house is big and roomy and a great place for adults and children! Beautiful views, quiet, relaxing with amazing hiking and beach nearby! The Freshwater Lagoon Nature Retreat is such a great house. Ideal for those seeking to be close to the outdoors and State and National Parks, this home is comfortable and very roomy. I am so glad to hear this home was a good fit for you and thank you for the review. Rented the Freshwater Lagoon house. The house was awesome with great views and nice to come back to after hiking the redwoods! Would stay there again and would recommend to others. 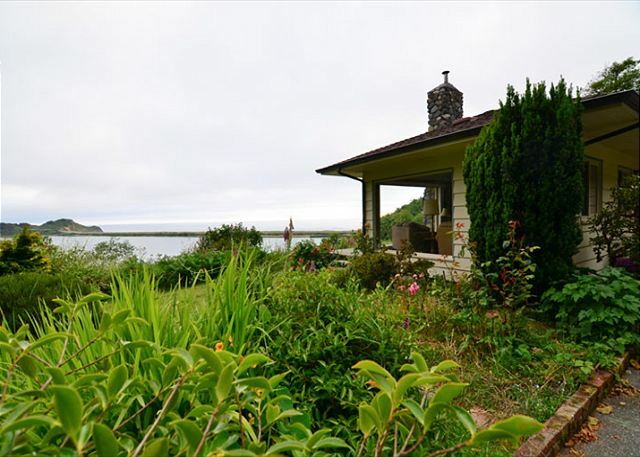 The Freshwater Lagoon Nature Retreat is wonderful house to stay in while visiting the Redwoods. It is in prime environment to get a feel for our area and is close the National and State Parks. At the end of the day, the home is spacious and comfortable, with awesome views to wind down to. Thank you for choosing this home and for making us a part of your vacation. A beautiful home with amazing views! The only complaint I have is that we didn't plan more nights there! Sounds like you will need to visit us again! The Freshwater Lagoon Nature Retreat is the perfect home for visiting our area. It is a short drive to many scenic areas, as well as being comfortable enough to just sit around the house. I am happy you enjoyed this incredible home and the views. Thank you for making us a part of your vacation. Beautiful secluded location with an amazing view. Plenty of room to spread out. Enjoyed the ping pong table, basketball hoop and tetherball. Hated to leave. It is our understanding that this review was scored opposite that noted. Thank you for your review and for choosing the Freshwater lagoon Nature Retreat for your vacation. This home is quite special, not only in its location, but for the spaciousness and amenities that the home has to offer. It is definitely one of those homes that is very difficult to leave. I do hope you will return to stay with us again in the future should you visit our beautiful north coast again. My sisters and I along with our poodles had a marvelous time at Freshwater Lagoon Nature Retreat. The views are even better than those in the pictures, the home is spacious with plenty of comfortable seating, and the outdoor space is refreshing, quiet and secluded. Not a neighbor to be seen. While there is a bit of traffic noise from the 101 (where isn't there?) it in no way spoils the atmosphere and you can listen to the roar of the ocean from the expansive deck. Our dogs had a great time chasing each other through the back yard and we enjoyed morning coffee on the deck. 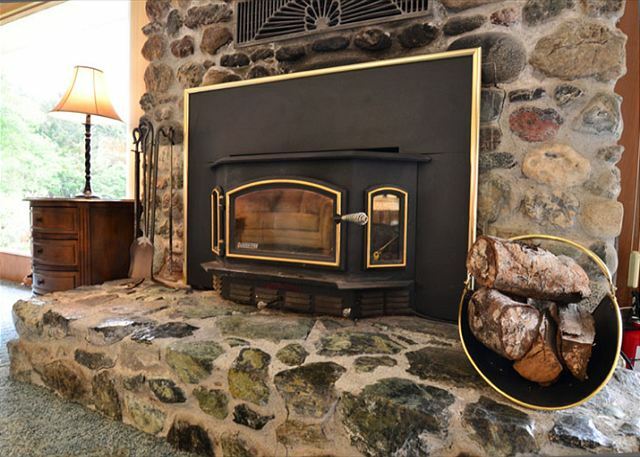 There's a great stone fireplace with wood conveniently supplied. The kitchen contains every possible appliance and utensil. The WiFi and satellite TV kept us connected to the outside world though we barely cared! We especially appreciated the small touches, like lovely scented soap in the bathrooms, fresh flowers on the table, and a chocolate bar near the information station. It took us no time at all to feel at home. The time went too quick and we look forward to returning someday. Wow, what a wonderful review of the Freshwater Lagoon Nature Retreat. Not much more I can say than, Thank you. Beautiful setting, wonderful views, and Nice house. The BlackBerries were in season so we picked big bowls full each night. Thank you for choosing the Freshwater Lagoon Nature Retreat and for taking the time to leave a review. Blackberry season is the best! I am glad you indulged with bowls full. Please look us up again if you return to our beautiful neck of the woods. We would love to have you back. A lovely spot with a fabulous view of the lagoon. Very comfortable house with a large deck to sit and watch the birds and water. A great yard to explore with apple trees and a frog pond! We stayed at the Freshwater Lagoon Retreat during our recent trip to the Redwoods and the coast. The house was very nice, accommodating our group very well. Just note that there is no beach access from house ( need to make people aware of this, not in fine print) and that road is narrow and windy to house. Good location for all we wanted to do on our trip. Thank you for writing a review of the Freshwater Lagoon Nature Retreat Home. This is a great house for visiting the coast, and for those seeking to enjoy the outdoors. Thank you for your feedback; while the home is not advertised as having beach access, the description does include an sentence that there is no direct access to the lagoon. We are very rural here and much of the area is windy roads, so we will try to incorporate that into the listings better. Thank you for booking this home and for making us a part of your memories of the redwoods. We hope you will look us up again if you visit the redwoods again. The place is lovely and perfect for a pretty big group. The location and amenities are great, it is beautiful to have outdoor meals and see the sunset over the sea. And the toys for the kids were a blast. But best of all it is only 15min to some of the tallest trees in the world, it was a lovely way to bring family together. This is such a great home for a family reunion. Great location and plenty of amenities, not to mention the view. Being so close to the redwoods and tall trees is such a plus. I am glad you enjoyed your time here and hope many memories were made with your loved ones. This house was perfect for our family get together. Family from Long Beach and Benicia California, Salem Oregon, St. Augustine Florida all came together here. We loved the comfort and at home feel. 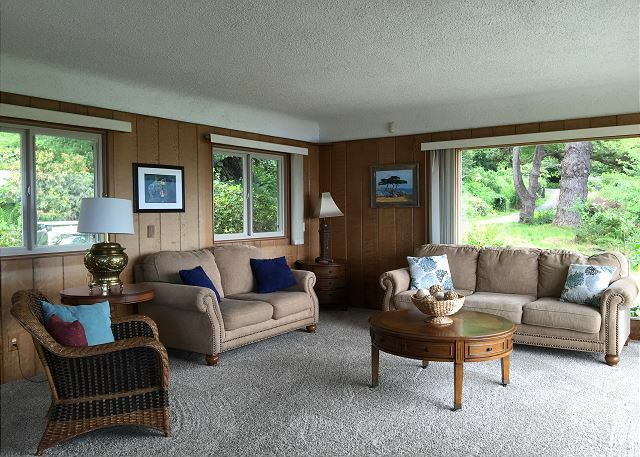 The large windows in the front provided an amazing view to the lagoon and ocean. It was mesmerizing. Beautiful scenery, tucked away from everyone else in the world. The hummingbirds were plenty and funny to watch. There were frogs in the pond that the kids had the best time playing with. It was clean, well furnished and Tim was very responsive to our needs.b Tim set up a whole crib for us, and whenever we needed anything, he was quick to respond. So friendly with great advice on places to go and things to do. We went horseback riding in the redwoods, agate hunting on the coast and hiking through the redwood forest. Elk were pretty much down the street right outside of Orick. The whole trip was memorable and fun. What a great house for a family gathering, especially from so many different locations. The hosts are quite gracious and attentive, and we are happy to hear your trip was a memorable one. Thank you for choosing the Freshwater Lagoon Nature Retreat and we hope you will return for many more family gatherings to come. Drive 7 minutes on narrow, road to location. Full view of lagoon, 101, ocean, very quiet and peaceful when traffic is light. Must bring supplies, 30 min. to store. Home is lovely, impeccable and huge. Excellent supplies !! Some beds low to floor, some high. One TV regular channels in master, bedroom one with Netflix/Hulu in small bedroom, no TV living room. Owners close by and very helpful if you need anything. Highly recommend this home. Isn't this a lovely home? Thank you for choosing the Freshwater Lagoon Nature Retreat. This home is so spacious and the views are amazing. It is off the beaten path, but so worth it! Orick does have a small market with minimal basic groceries and Trinidad, 20 minutes away, does have a grocery store. The homeowners live nearby and are very attentive to all guests' needs. Thank you again for staying with us and making us a part of your vacation. We hope you will return to stay with us again for many more vacations to come. This place was charming with amazing views. Had tools and areas for kids to play, was clean, and had some neat touches like a brand new kitchen sponge. We would love to stay here again. The hosts were very friendly and available if you needed anything. Isn't this a great home? This is an amazing home with some of the most incredible views. The hosts are fabulous people who take much pride in being available for their guests. Off the beaten path, yet close enough to trails, beaches, lagoons, and the redwoods. This home is charming and very accommodating. Our 3 generation family of 7. (4 adults, 3 children) stayed here at the freshwater lagoon retreat and it was awesome! The moment you walk into the house your in awe over the views through 2 big picture windows. Very clean and comfortable. Secluded and private but close enough to everything the coast has to offer. We loved our stay of 5 nights. The kids didn’t want to leave. We all would love to come back someday. I have already recommended this place to other family members. Thank you Carol. The Freshwater Home is an amazing place to stay. As you mentioned, the moment you walk in you are greeted by large windows with a very beautiful and unique view of nature, the lagoon and the distant ocean. The home is amazing and I completely understand how the children did not want to leave. I hope this means you will return to visit again some day soon. Thank you for choosing this home and making us part of your memories of the north coast. A uniquely located and wonderfully welcoming home. We opened the door on a cool early evening, to find a toasty warm home, with comfortable and uncluttered furnishings. It has a great kitchen for preparing meals - propane stove, generous counter space, lots of dishes, glasses, flatware, and cookware. The birds put on a wonderful show all day. We definitely recommend taking the northern entrance to Old State Hwy 101 (nearest Orick), certainly if your first approach is near or after dark, or if you have been on the road for a while. Beautiful view, very secluded. Large and comfortable home. Many hummingbirds. Watched whales in the ocean. Ping pong, foos ball, basketball hoop and tetherball great for kids. Be prepared for the lack of amenities nearby - market stocks minimal basics with many being nearly outdated. Road to house narrow and winding. 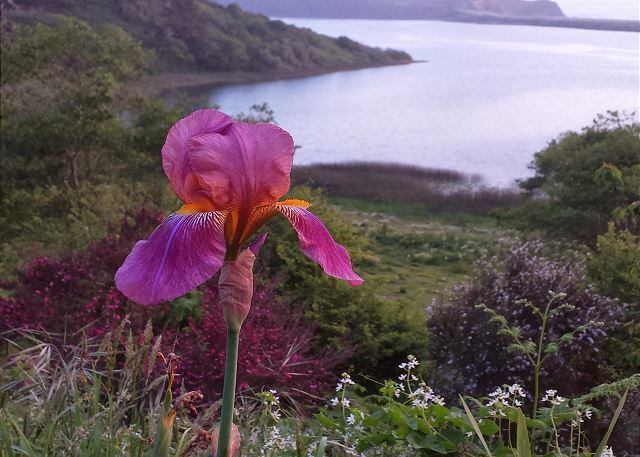 Thank you for your recent stay at the Freshwater Lagoon Nature Retreat. While the home may be a little far off from amenities, it definitely offers much in the way of games and natural beauty. This is definitely the home for those wishing to get away from it all and off the beaten path. We hope you had a nice time and made many memories to carry with you. 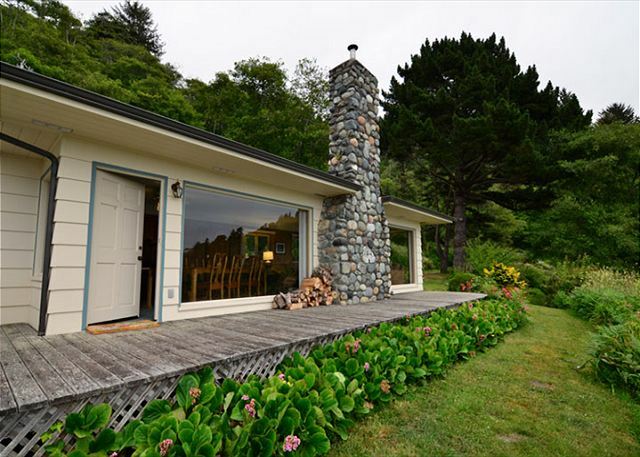 I had a wonderful time exploring the Redwoods, Fern Canyon, and the beach from this lovely home. Plenty of room for three couples. Well stocked kitchen. Wild life. 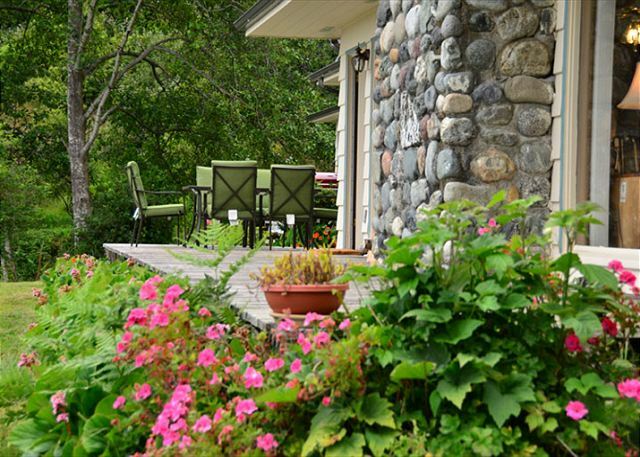 The Freshwater Lagoon Nature Retreat is a perfect place for three couples. 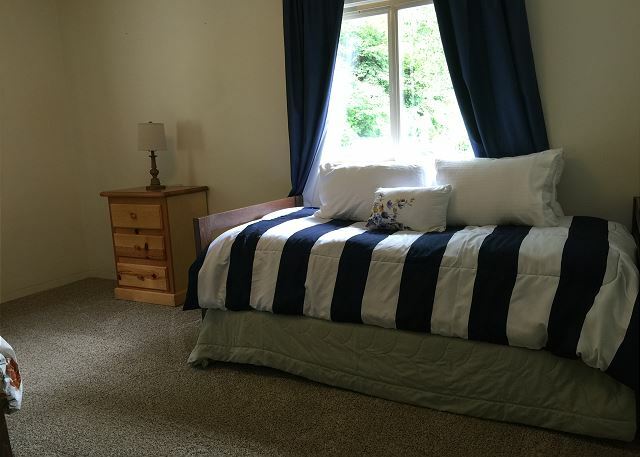 Spacious, well stocked, and close to many scenic and hiking areas near and in the redwoods. We hope you made and shared many memories, and we thank you for making us a part of your vacation. We had such a fantastic time staying in this home and exploring the area! We enjoyed many hikes through the Redwoods, combing the beaches (agate hunting was a success!) visiting the beautiful Smith River, and many other pursuits. Having a cozy and serenely private place to return to after each adventure was so lovely. Watching the hummingbirds was endlessly entertaining, as they would often hover right next to the giant windows overlooking the lagoon. The owners of the home also couldn’t have been more generous. They went out of their way to make our Easter extra special and when we couldn’t find a kitchen utensil they delivered it to the door within minutes, accompanied by their adorable and friendly giant dog. Our stay was stellar and we will definitely return if we ever get the chance! Wonderful! 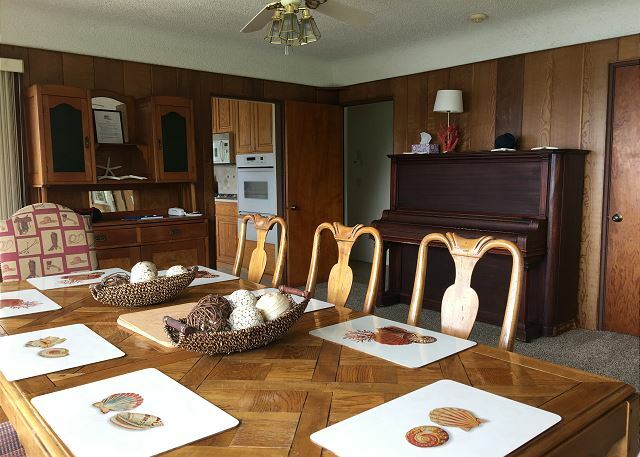 We aim to have happy guests like you at our many homes on the Redwood Coast, and it sounds like this home and setting was the perfect match for your family to enjoy your Easter Vacation together. And, we hope you do get the chance to return to us at Redwood Coast Vacation Rentals! The house had an incredible view! It was close to beaches, and the redwoods. We used it as a base for hiking the Tall Trees Trail as well as visits to Trinidad, Agate Beach and Trees of Mystery. Perfect location for a quiet Northern Californian vacation. Awesome house! So glad you enjoyed it. This is the perfect house to serve as a base for visiting our area. 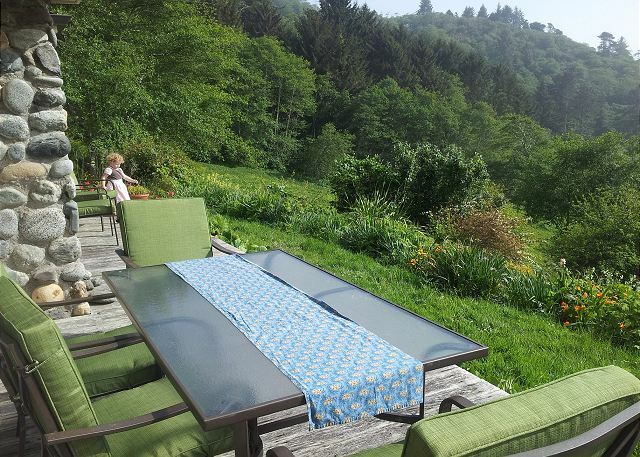 When not out exploring the redwoods or beaches, the view and property alone are incredible. Thank you for sharing you review of the Freshwater Lagoon Nature Retreat and we hope you will be back again. Great experience at Freshwater Lagoon!! The house was exactly as described - generous size bedrooms, well appointed and very comfortable. Great location for our visit to the Redwoods. The house, bedding and towels were extremely clean. We enjoyed our stay and would highly recommend this property. Thank you for choosing the Freshwater Lagoon Nature Retreat and for booking with Redwood Coast Vacation Rentals. Beautiful getaway. Last 1.5 miles are not very heavily traveled, but that is what gives this location its ideal seclusion from other nearby properties. The Freshwater Lagoon Home definitely is off the beaten path and IS what gives this home its charm. Thank you for choosing this house and we hope you will be back to stay with Redwood Coast Vacation Rentals again. We enjoyed everything about the house and our stay, thank you!!! I love this house and so glad to hear that you enjoyed everything about the house, too. Thank you for choosing the Freshwater Lagoon Nature Retreat. The house was clean, and had the most well-stocked kitchen I have ever seen! There are 3 bedrooms, but the bonus room was even more pleasant than we expected. There were two twin-sized beds in this bonus room, which was perfect for us. The location was perfect for a visit to Redwoods National Park. The view of the lake and the ocean was amazing--particularly when the fog rolled out. Freshwater Lagoon Nature Retreat is such a great house! I am glad it was a good fit for you and your family. 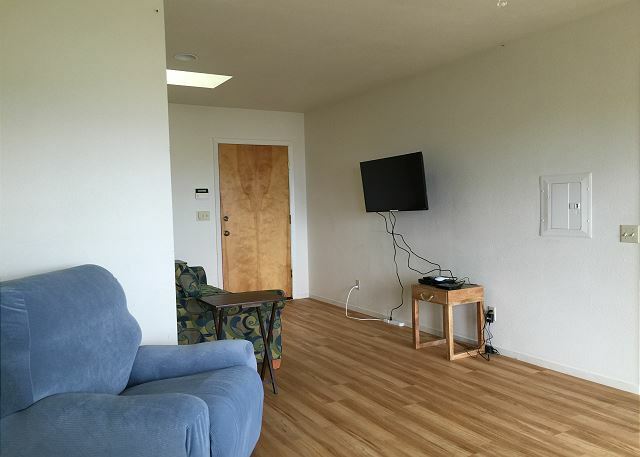 It is definitely one of our more unique rentals, located off the beaten bath, but with such an amazing view, and so close to to the Redwood National Park. Thank you for choosing Redwood Coast Vacation Rentals for your stay and we hope you will return to visit us at one of our many homes on the north coast. We loved this rental! It was secluded yet close to everywhere we wanted to visit (10-40 minutes). We particularly liked it being close to Prairie Creek Redwoods State park, the elk, and Fern Canyon. The foosball table was a huge hit with our kids. There is plenty of room for 10 kids/adults + a portacrib for a baby. We loved drinking hot chocolate in the mornings while watching the mist rise. This place is awesome and you won't regret staying here. There were plenty of toiletries, paper towels, and trash bags for our 4 night stay. They also had frozen pizza & ice cream to purchase at cost. The closest place to get gas is in Trinidad so gas up before you head N to the house! We were a party of 7 and had a fabulous time. This is a great spot for a family reunion. The kitchen was large with lots of items for cooking so we stayed in and cooked for 3 nights. The living room is perfect for sitting around and admiring the view and playing games with the family. We were all extremely comfortable in the bedrooms. In the evenings we sat outside and admired the Calif coast line as we had our cocktails.We loved the house and would return gladly. It was great for trips to Trinidad and off to the Redwood State Park for hikes. What an ideal home for a family reunion! It sounds like it was the perfect fit for you and your family and we hope you will return for another wonderful trip to our coast again. We had a fantastic experience with our vacation home rental. The home was very clean, fully stocked, cozy, comfortable and perfect for our family to gather. The views were spectacular. We saw Bear and Deer on our first night. The owners thought of everything...we found board games, books, air hockey and fusbol. Basketball in the driveway. The 2 outside decks were perfect for morning yoga and morning coffee overlooking the lagoon and ocean. There was something for everyone all ages. Our family ranged from age 16-78. We even found a second fridge in the garage stocked with Ben n Jerrys ice cream! 😁👍?� Overall we had an amazing fun filled weekend in the mountains and loved every minute of it. Thank you! What a fantastic review! Sounds like you had the full nature experience while staying at the Freshwater Lagoon Nature Retreat! Bear and deer!! The homeowners of this place are very lovely and they care significantly about their guests' stay. We are so happy you had such a great time and that there was something there for everyone. We hope you will visit us again soon! Nice location, beautiful home that is well kept and clean, comfy bed. Outdoor space is gorgeous with flowers and hummingbirds everywhere. Overlook of the lagoon is amazing! Little cafe in town is great too! You really feel like you are part of nature when staying in this home. Thank you for choosing this house and for booking with Redwood Coast Vacation Rentals. Spent 3 nights at Freshwater Lagoon just after labor day. House has amazing view and is very secluded (so quite). Pictures didn't do it justice. House was very clean and quite large. We locked ourselves out our first night (I know, dumb), but luckly I had my phone on hand and called the contact number from the app they have you download.....caretaker came by within 1/2 hr to let us back in :). Would highly recommend this place to anyone wanting a quite place to stay and have quick access to the Redwood National/State parks. Great secluded place great views perfect place to return to even after a bad day of fishing?? So glad this home was a perfect place to return to even after a bad day fishing. The Freshwater Lagoon Nature Retreat is awesome that way! Thank you for booking with Redwood Coast Vacation Rentals and hope you will return again for a better fishing trip! a beautiful home in a beautiful area. being able to see the ocean every morning was amazing. The home was spotless! Thank you for booking the Freshwater Lagoon Nature Retreat! What a lovely place to wake up to everyday. Hope you will visit again. The best ever place to have family and outdoor activities at your doorstep. The openness to both the ocean and hikes through magnificent redwoods filled our parched Texas souls to the brim. The location is away from nearby stores so be prepared to bring a good supply of groceries to start. There is a good market down on Hwy just before entering the parks. The kitchen is great and the host even provided a freezer full of food you could purchase should you run out. This was the best home away from home you could ever hope for! I agree this is a great place for a family and for all the outdoor activities. I am so happy to read that your stay at the Freshwater Lagoon Nature Retreat was perfect for you, all the way from Texas. We try hard to make every rental an experience for everyone and the homeowners of this home are very aware of this, too, and also understand the distance of the home from conventional stores, so I am glad this home was a perfect fit for you on your vacation. Thank you for booking with Redwood Coast Vacation Rentals and I hope you will visit our beautiful coast again. We loved our week-long stay at this beautiful house. It was enough room for two families (as long as kids share a room). We loved cooking in the well-stocked kitchen and enjoying a drink on the deck, and the kids loved finding frogs on the property and riding scooters on the driveway. The items I wish I'd brought (because they weren't at the house) were a garlic press and a cast-iron skillet (there was a nice stainless steel skillet but the other available skillet was non-stick). Some pleasant surprises at the house: a pack n play, nice game room stuff in the garage (ping pong, foosball, air hockey), HUGE windows to enjoy the views, and plenty of laundry detergent to do loads of laundry. The house is very secluded, and you have to drive a couple of miles on a bumpy road (old highway 101) to get to it, but we thought that added to the charm. The location itself is central to some of the best Redwood stuff: drive north to Trees of Mystery and Boy Scout Tree Trail (a fantastic 5.5-mile hike); drive south to Avenue of the Giants (including one of the drive-through trees, which was kind of fun). The management company was very pleasant, and when I called halfway through the trip to say our trash bin was filling up, they sent someone that day to pick it up. Sounds like you had a great time while staying at the Freshwater Lagoon Nature Retreat. This home is very much a great family home. Thanks for the recommendations; I will definitely pass them forward. You are spot on when you say the drive there is part of the charm. You really get a sense of being away as you approach the house. It sounds like you all did a lot while you were here, too, and really covered some ground. I love living up here so much that it makes me happy to hear people are getting out and enjoying what we have to offer up here on the north coast. Thank you so much for booking with Redwood Coast Vacation Rentals. We have over 100 homes to choose from and it sounds like you picked a great choice for you and your family. Fantastic views from Livingroom, Dining Room, Kitchen and Master Bedroom. Take advantage of spacious kitchen and dining room. The yard was lovely and inviting to a variety of birds. It appears that owners are investing $$ to renovate and update the home. 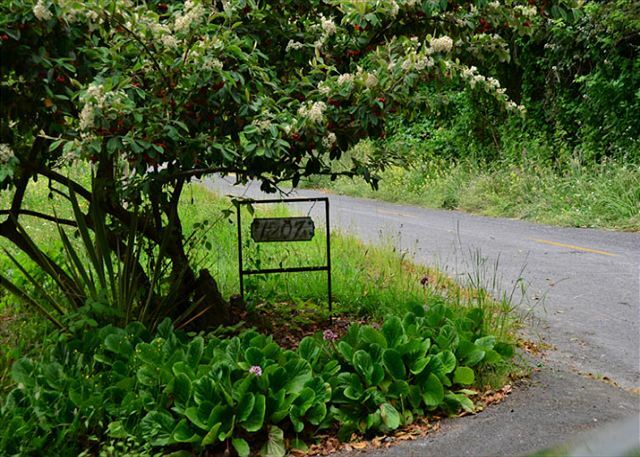 Private location and within easy drive of Redwoods hiking trails. We have wonderful memories and enjoyed our stay. we, our friends from Austin, BC and Hongkong has had wonderful time in this beautiful house, which locates on the slope of the hill and facing a lake and Ocean. The house is well equipped with furniture. There plenty pans and dishes in the kitchen. Whole house is very clean. Wifi works very well. We are surprised that there is a piano in this house and we can play it. Thanks house owner and manager very much. We definitely will come back again. Quite a collection of guests from all over, staying here at the Freshwater Nature Retreat. This is a beautiful home, so glad so many were able to enjoy it and the piano that was in the home. We appreciate you very much and thank you for staying with us. We do hope you will return, maybe for a reunion, to this home again. There couldn't be a more perfect and peaceful location if one is looking for a nice place to stay close to the Redwoods National Park. The home was very roomy and comfortable with most everything a family or group would need. Grocery stores are approximately 20-30 miles away. Multiple hikes, trails, and other attractions are all within a 15-40 minute drive from the property. It was perfect for our family trip! Highly recommended! The Freshwater Lagoon Nature Retreat is the perfect home for a large family vacation. 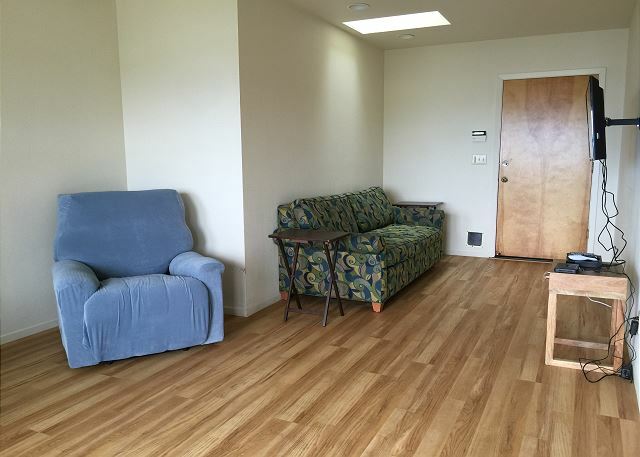 Definitely roomy and so close to many of the attractions in the area, such as the Redwoods National Park. I am so glad to hear it was perfect for your family trip! I hope you will all have the opportunity to visit us again soon, or possibly a reunion vacation. Thank you for booking with Redwood Coast Vacation Rentals. The house feels like your own vacation home with the entire view side of the home with picture windows and decks overlooking the fresh water lagoon and the ocean. You are by yourself. We spent our 5 days driving south or north to the state & national parks & beaches; short day trips. All magnificent! We saw deer in front of the house and a black bear appeared two mornings eating crab apples from a tree off the side yard. We watched from inside at a kitchen window drinking our morning coffee. Can give it the highest recommendation. Isn't this a great home?! Thank you for booking the Freshwater Lagoon Nature Retreat! Such a view! That is really cool that you were able to see the black bear twice. So long as I am inside, I would be tickled to have that experience, as I have yet to see him. I am pleased to hear you had a great time and I hope you will get a chance to stay with Redwood Coast Vacation Rentals again! This home had a gorgeous view and was in a beautiful, somewhat secluded area. The home was spacious and very clean. It had everything we needed and we loved staying here. Love the beautiful view from this home! I am glad the home worked for you and that you loved staying there. Thank you for booking with Redwood Coast Vacation Rentals and please visit us again. We had a wonderful stay in this house with amazing views. We had everything we needed and were very pleased at the accommodations. Thank you for the review of Freshwater Lagoon Nature Retreat. What a comfortable house and such an amazing view! I am glad you were pleased with the accommodations and that the house had everything you needed. Thank you for staying with Redwood Coast Vacation Rentals. We had a great time. The kitchen was fairly well equipped and we successfully were able to have home cooked meals 3x/day for 5 days. The location is superb with a great view. Bring your groceries because there isn't too many shopping opportunities nearby. The house was comfortably furnished. So glad to hear you had a great time at the Freshwater Lagoon. I love that location! Thank you for booking with us and I hope you will visit again. We had a wonderful time on the North Coast. 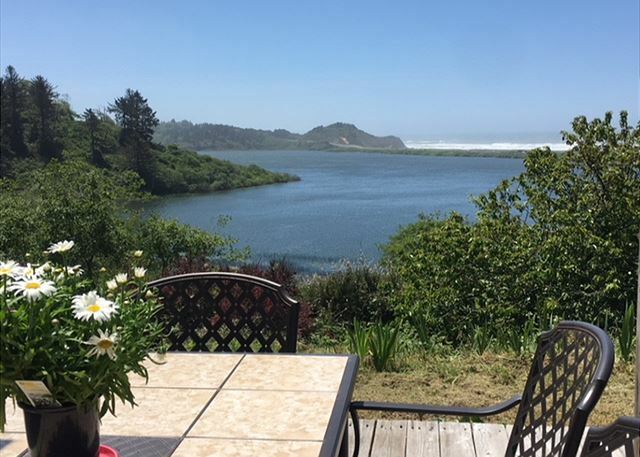 House is private, view is lovely, and access to hiking in Redwood National Forest or kayaking in Stone Lagoon, or good restaurants or a massage at Trinidad Massage was an easy pleasant car ride. 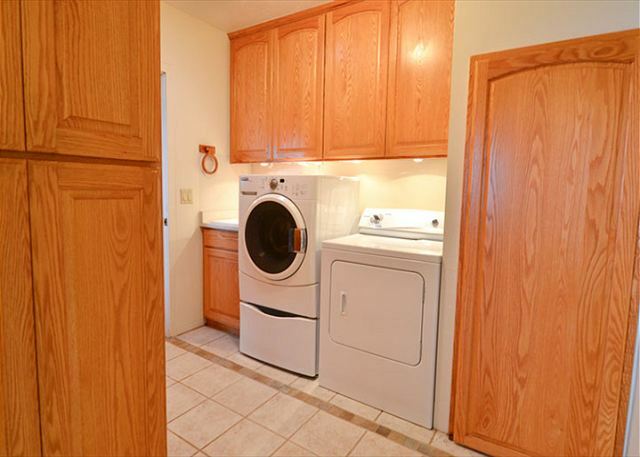 Property is lovely, house was very clean, open, big windows, decks, well appointed kitchen. No water access from house though, and Freshwater Lagoon is having some algae issues. Not able to hear the ocean from the house except when there is no traffic on the road at night. Distant road noise is constant, though wasn't bothersome to us. Glad to hear you had a wonderful time while at the Freshwater Lagoon Nature Retreat. 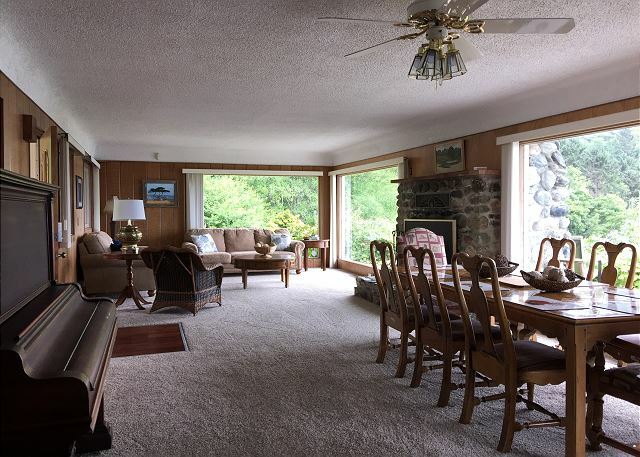 This is a lovely home, far enough away from town and yet close enough to enjoy the nearby activities in our area. We do hope you will visit again! This place is pretty amazing. 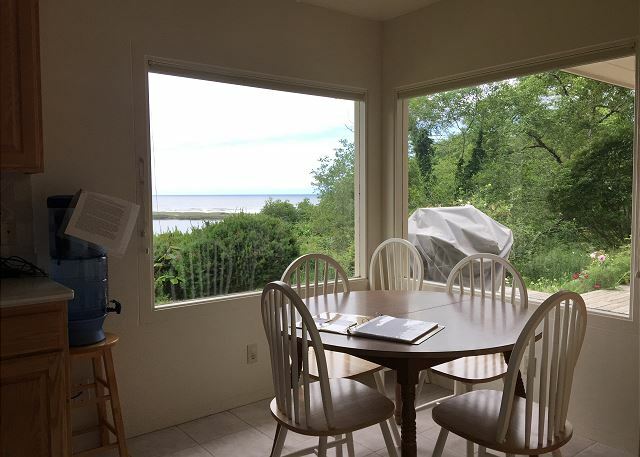 The only "drawback" is that the view of the lagoon and the ocean beyond is so nice that you find yourself spending way too much time staring out the giant windows or from the deck. When we got there, it was kind of jaw-dropping. It's really a special place and so quiet. We were looking to 'get away from it all' and this was about perfect. We'll be back. Wow! Thank you for the great review of Freshwater Lagoon Nature Retreat. I completely understand what you mean by that view. I do not want to leave that house when I am there, as well. Sounds like a future trip may be in order. Thank you for your stay, and I hope we will see you again. It was small family gathering that proved to be really nice and relaxing! Freshwater Lagoon Nature Retreat is in a beautiful place for a family gathering. Pleased to hear it was relaxing! Hope you will visit us again. The views from the master bedroom, living/dining room and kitchen are spectacular. Even if it's foggy it's a beautiful location. There were four to ten family members at various times during our eight-day stay. The kitchen is very well-equipped (even had a big variety of herbs), there is plenty of space to spread out, the kids made good use of the foosball and other games and we enjoyed meals on the deck. The owners, Tim and Lori, live in the barn up the hill (not visible from the house)and were very helpful the couple of times we had questions. The house was immaculate. 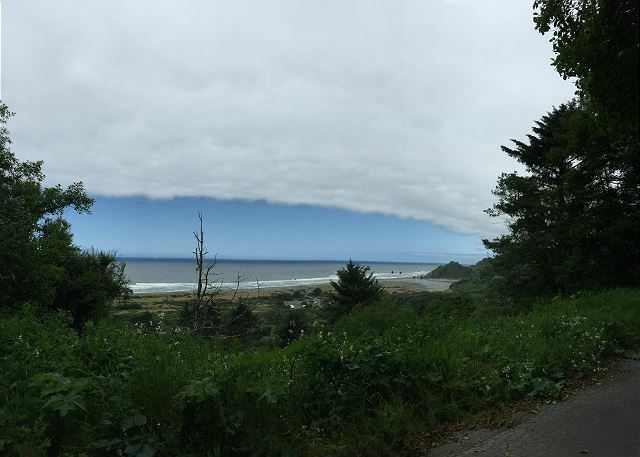 We did a lot of hiking/walking in Redwoods National Park, Prairie Creek State Park (home of Fern Canyon) and at the lighthouse in McKinleyville--all within a short distance. We would recommend this home to anyone, all ages, including someone with mobility issues. Sounds like you had a wonderful time while staying at the Freshwater Lagoon Nature Retreat. I am glad to hear so many of you were able to enjoy the house over the course of your stay. It is a great house in such a wonderful location, with so much to do nearby. Maybe a future reunion could be had here again. Thank you for your stay. Our group gives this trip and house a 10+. We took our Girl Scout Troop which had 3 adults and 7 High School Girls for an outdoor adventure. The house was fabulous. The wall of windows for the views, back deck patios, dining table for 10 and fully loaded kitchen supplies were appreciated. The girls loved playing air hockey in the game-room. The house is close to an abundance of great beaches and hiking trails. Our visit and hike of Fern Canyon was a favorite. In the area, we had up close encounters with elk, saw a black bear cub, and also lots of deer. We went horseback riding with the Redwood Creek Buckarettes and White Water Rafting with 6 Rivers Rafting on the Trinity River. The rafting was a bit of a drive from Orick but TOTALLY worth it. The guides were great, prepared an organic lunch, and made several stops for us to jump off rock cliffs. We finished up the trip with a Jewelry Tour at Holly Yashi in Arcata. Their jewelry is beautiful and the tour was incredibly interesting. We would highly recommend a visit to the Northwoods and using Redwood Vacation Rentals to help you find a place to stay. Wow! What an amazing time you had while staying at the Freshwater Lagoon Nature Retreat! It sounds like you had the full experience of what it means to be on the north coast, in the redwoods. I do hope you will all visit us again! Hope you will return to stay at the Freshwater Lagoon House again!